While there are some alternative advantages to be found by outsourcing further from our shores, nearshore software outsourcing gives you and your QA partner a common clock and a cultural familiarity that encourage an “in-house” feel to the partnership. Ultimately, both nearshore and offshore software outsourcing solutions offer unique and complementary advantages. Whenever you outsource your QA process, you gain an advantage, regardless of where your partner resides. Outsourcing makes better use of your resources by allowing your core team to focus on their product activities and by providing a cost-efficient boost in your capacity as needed. Bring in talent with expert knowledge of the tools, technologies, regulations, and protocols of your specific industry. Leverage the advantage of fresh eyes on your product’s features or enhancements for thorough quality assurance. If you outsource to a good QA company, you are also leveraging the most up-to-date testing expertise and resources. Better target your resources to peak QA and release cycle periods, rather than to ongoing commitments. QA experts get comprehensive results faster by designing optimal testing frameworks, writing more efficient test scripts, and providing better test analysis. Both nearshore and offshore software outsourcing bring advantages to your quality requirements and your bottom line. Together, nearshore and offshore solutions may even complement each other in a broader QA strategy. There are some advantages that are unique to nearshore software outsourcing. Primarily, you get access to all the efficiencies outlined above without having to suffer the high costs and low availability of outsourcing domestically. Nearshore markets have matured to compete with the skills and standards of US QA testing facilities while proving a better ROI. That means you can access the following advantages while having confidence in the final product. Outsourcing to a nearshore QA facility means never having to take a meeting at 3 am. A destination such as Mexico, for instance, shares a working day with the Central Daylight time zone of US businesses. With maximum time overlap, your core team and your QA team can easily make audio and video calls, react to each other in real time, and create a seamless Agile development environment. The relative proximity of a location such as Mexico makes it easier, and more affordable, to undertake on-site visits. Video conferencing has made it possible to meet face-to-face over any distance in real time. But there’s nothing like an in-person tour of your partner’s facilities or a post-meeting get together to encourage closer working ties and, ultimately, to increase productivity. It is substantially less expensive to hire, train, and retain resources in areas such as Mexico than it is in the US. Moreover, recent interest in QA outsourcing in nearshore locations has incentivized local students to pursue engineering, resulting in a rich talent pool of testers. The proximity of nearshore testing facilities means there are fewer cultural and linguistic barriers to effective collaboration. Countries in Central and Latin America often produce software for the same markets as US businesses, so there is also common ground on a technical and professional level. Nearshore software outsourcing offers a number of advantages over outsourcing to a domestic QA tester. The prospect of moving farther from home and employing offshore software outsourcing in areas such as India and Southeast Asia does reveal some comparative disadvantages to the nearshore option. The difference in terminology is slight, but the impact can be profound between offshore and nearshore QA outsourcing. Nearshore is, typically, considered outsourcing to areas in close geographical proximity: the US and Mexico, for example. By contrast, offshore refers to outsourcing in places halfway around the world, such as India or Southeast Asia. There are pros and cons to both options, and ultimately, the choice will come down to which better suits your business model. And, in fact, they may both work as complementary solutions to various aspects of your QA strategy. Each offers the same resource and productivity advantages over outsourcing within the US, but offshore investment provides the following advantages that nearshore options do not have. The increased distance of outsourcing offshore can work in your favor. The near-12-hour time difference between India and the US, for example, means your QA team can conduct testing overnight and present results to your core team in the morning. Such a system can better streamline your productivity, but it also puts more strain on your communication. While nearshore destinations such as Mexico have made great strides in QA testing development, there is no denying that the offshore alternatives have been at it for longer. India has long been a leader in the engineering field and is home to more than 2,000 dedicated colleges that produce 1.5 million graduates each year. Competition in such areas has led to greater diversification, resulting in domain experts in every imaginable industry. It is safe to say that any time you outsource outside the US or Canada, you can make significant resource savings, but the degree is enhanced when you move offshore as opposed to nearshore. The resource cost differential between India and the US, for instance, can reduce your QA spend by as much as 50%. 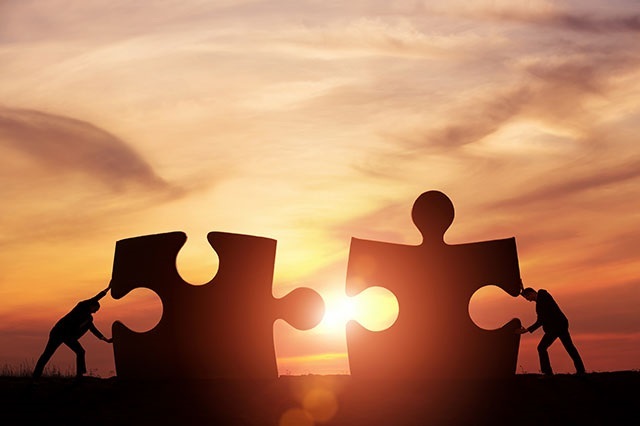 Offshore and nearshore software outsourcing options offer their own unique advantages, but both have emerged as effective alternatives to finding a domestic QA partner. Outsourcing your QA process outside the US provides immediate resource and productivity efficiencies. Between the “in-house” feel of a nearshore solution and the around-the-clock working model of an offshore approach, you can customize an ideal QA strategy to meet your goals and workflow. Overall, outsourcing gives you ready access to domain experts when you need them and at a reduced cost. At QASource, we view nearshore and offshore QA options as complementary. QASource has the facilities to offer you the best of both offshore and nearshore outsourcing solutions. With state-of-the-art facilities in Chandigarh, India, and in Aguascalientes, Mexico, we can help you choose a destination that suits your business and your product. Contact us for a Free Quote, or call +1.925.271.5555 today.